September 1 officially marks the first day of Spring in Australia and traditionally Spring in Brisbane is when the beautiful purple flowers of the Jacaranda tree begin to decorate Brisbane streets. 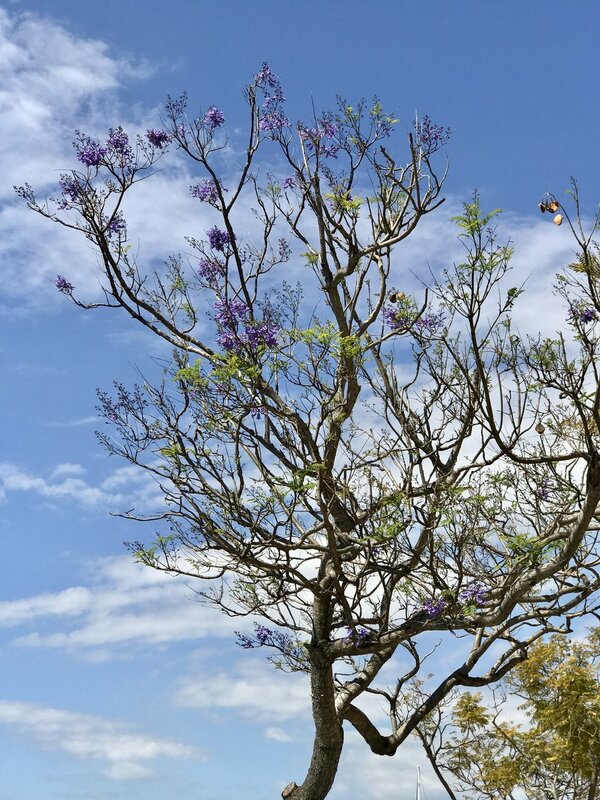 When I was recently on a walk along the Brisbane River at Kangaroo Point, I was excited to see that the beautiful Jacaranda trees that line the pathway (heading towards Captain Burke Park towards the Story Bridge) were beginning to turn purple. Even a few blossoms had fallen from the trees. Jacaranda trees are Brisbane's version of the Japanese Cherry Blossom. The stunning purple trumpet shaped flowers add beauty to our city and bring happiness and memories to many residents and visitors to our River City. Where are your favourite locations in Brisbane to see the beautiful flowering Jacaranda trees?